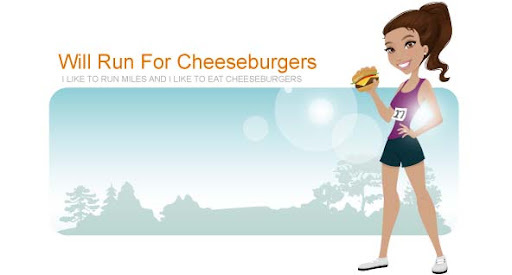 Will Run for Cheeseburgers: iced coffee is delicious! Once those summer months come around and the temperature starts arising, it's time to switch from hot coffee to iced coffee. I was running late this morning (shocker) and decided to head over to Starbucks before work to grab some coffee instead of brewing it at home. 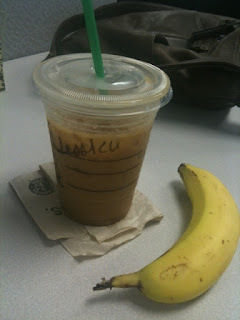 Along with not having time to make coffee I also didn't have time to make anything for breakfast. I grabbed a banana and I was out the door. Simple, sweet, and refreshing. Oh and full of caffeine.